We are very pleased to bring you an Amazon Alexa flash briefing skill (developed originally for Patreon Supporters of the WPH) – WPHLiveTV Handball News. The skill enables you to listen to the latest news & information from around the world of handball, courtesy of WPHLiveTV. The system we developed for Patreon Supporters gives us the ability to upload audio MP3 files and mark them active or inactive. The skill automatically retrieves the active uploaded audio files and plays them when it is invoked. You now have the latest news & information from around the world of handball, courtesy of WPHLiveTV. Up-to-date tournament scores, post match recaps and previews– all updated throughout the week. Just add WPHLiveTV Handball News to your Flash Briefing, then say “Alexa, what’s my Flash Briefing?” to tune in. Handball Radio is a custom Amazon Alexa podcast skill that we developed for our WPH Patreon Supporters. The skill will be released to the public eventually, but you get to know about it first! 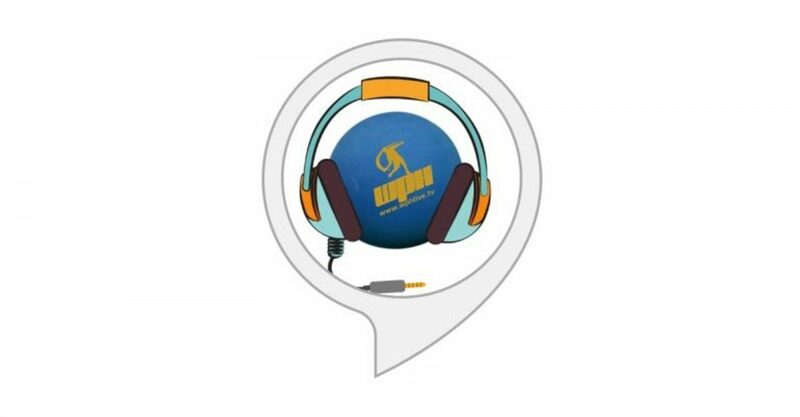 This new Alexa skill allows handball fans to play Dave & Dave Handball Sports Podcast right from their Amazon Alexa devices. The skill supports the standard Alexa podcast features such as playing the feed, skipping to next episode, going to previous episode, pausing the currently playing episode, resuming the last played episode and stopping the currently playing episode. In addition, users can play a particular episode, fast forward or even rewind! A Sports & Entertainment Radio Program (Podcast) from the Administrators of the Race4Eight Professional Handball Tour, Powered by ESPN, and the Voice of All-Things Handball! Listen to Dave Vincent & David Fink, from the World Players of Handball, plus special guests, as they entertain with current events, celebrity birthdays, contests, interviews; News, Sports & Weather updates and… of course, the sport of Handball! “Alexa, Play Handball Radio” – This command will start the radio (podcast) program. “Alexa, ask Handball Radio to Fast Forward” …The default fast forward time is one minute. If you want to fast forward with a specific time, you can do that too! “Alexa, ask Handball Radio to Rewind” …the default rewind is one minute. If you want to rewind with a specific time, you can do that as well!